These festive muffins have a secret ingredient—spinach–that serves as a natural, healthy food coloring! A cheesy—yet healthy—take on fondue, from the celebrity chef and mom of 4. 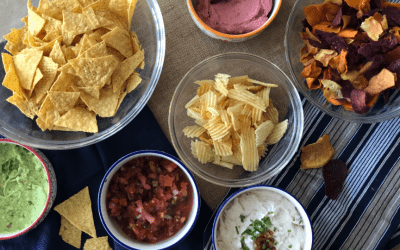 Serve these simple recipes at your Super Bowl party (or bring them to a friend’s)—they’re sure to be crowd-pleasers. Cheers to the big game with these football-themed refreshments! Build the perfect cocktail set up, with easy tips from lifestyle expert Kate Bower.